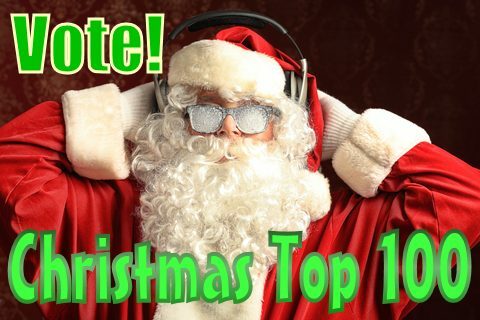 Every day of every year we collect votes on the TOP 100 Christmas Songs of all time. And every Christmas we reveal the results with the annual countdown in the days before Christmas, usually as part of the World’s Largest Christmas Party. The Top 100 plays on Kringle Radio. You can vote for any song, any artist at any time. The more votes a song gets, the higher it gets ranked on the chart. The chart ALWAYS is diverse and occasionally there are some surprises. You can vote right here on mymerrychristmas.com or via a “speed voting” page at Kringle Radio that allows you to select from a long list of traditional favorites.